How does a woman go from being a normal Midwestern mom to sitting across the table from a bounty hunter? That’s what Kathleen English Cadmus wondered as she took one more surreal step in her quest to find and save her teenage daughter, Laura. Having already lost her son Shawn to a tragic accident, Kathleen couldn’t bear the thought that she had failed to protect another one of her children. 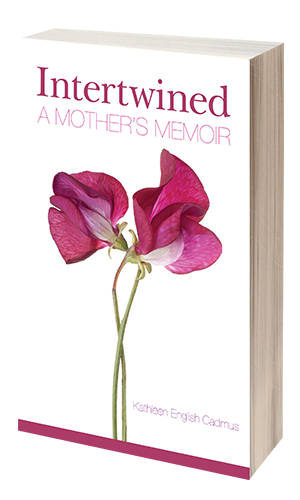 Intertwined: A Mother’s Memoir is a raw but loving tribute to the pain and beauty of motherhood—the story of a mother, a daughter, a son, two marriages, and the way all of those lives are at once distinct yet inseparable. Intertwined illustrates the way the people we love become part of us—become us—and show us who we truly are. Adams Recovery Center clinical coordinator Kayla Scoumis discusses how to find the right addiction treatment program and what to expect from recovery. 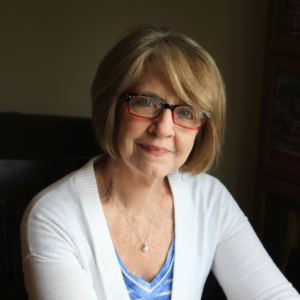 Kathleen English Cadmus is a mental health nurse practitioner who earned her MFA in Creative Writing from Ashland (Ohio) University. As a bereaved parent of a son and an adoptive parent of a daughter with bipolar disorder, Kathleen has been active in both the adoption communities and the mental health arenas. 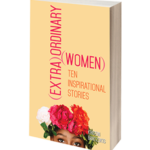 She has had her writing published in local newspapers, adoption newsletters, and the nursing anthology Learning to Heal (Kent State University Press, 2018). Kathleen lives in Columbus, Ohio, and is a mother to five children and grandmother to seven. Intertwined is distributed by Baker & Taylor Publisher Services.